If you’ve been injured by the CML drug Tasigna, we can help you fight for compensation. Did You Know the CML Drug Tasigna is Associated With Arteriosclerosis and Wrongful Death? 1 Did You Know the CML Drug Tasigna is Associated With Arteriosclerosis and Wrongful Death? 5 Is There a Class Action Suit? 6 Do You Qualify to Receive Damages for Your Medical Problems Related to Tasigna? Tasigna, used in the treatment of Philadelphia chromosome positive chronic myeloid leukemia (Ph=CML), has been associated with dangerous side effects and complications including rapid hardening of the arteries and related complications. Leukemia is a malignant progressive disease that affects the bone marrow of the body and blood-forming organs make large numbers of young or abnormal leukocytes. The leukocytes hold back the creation of normal blood cells causing anemia and a variety of other symptoms. Tasigna (nilotinib) is a chemotherapy drug prescribed to patients by their doctors to treat leukemia. It is a capsule typically taken every 12 hours by mouth with a full glass of water. Tasigna should be taken on an empty stomach an hour or two after consuming a meal. If the patient has difficulty swallowing, the capsule can be opened and the contents mixed with applesauce. You should wait at least one hour after taking the medication before eating again. The Food & Drug Administration (FDA) approved the drug for use in the U.S. in 2007 and since then, they have received thousands of reports of serious issues related to its consumption. It has been claimed that Novartis, the manufacturer of Tasigna, knew about the side effects since 2011 but failed to notify prescribing physicians or their patients using the drug in the U.S. It is also alleged that Novartis participated in illegal misbranding and accepted kickback payments for the advertising and selling of Tasigna. A 2015 lawsuit initiated by the U.S. Department of Justice against the company resulted in them paying over $390 million for failing to disclose serious side effects. Since 2010, Novartis was forced to pay the U.S. Department of Justice over $800 million in settlements for civil and criminal charges leveled against them. They have also had to pay huge fines in other countries around the world due to their illegal pharmaceutical sales and marketing tactics. Is There a Class Action Suit? 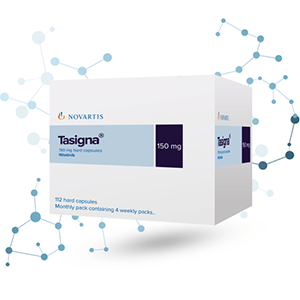 Have you or any of your loved ones been prescribed Tasigna? Did any of you take the drug and end up suffering from any of the issues (common, serious, or severe) mentioned above or any other medical problems, you may want to consult with a lawyer that works specifically with Tasigna patients and sufferers. There has not been a class action lawsuit against Tasigna filed to date, and it doesn’t look like there will be filed anytime in the near future. Anyone that has taken the prescription medication or that has a family member that has taken it and experienced vascular problems like atherosclerosis can file a lawsuit against Novartis, the manufacturer of Tasigna. If there are enough lawsuits lodged against the drug’s producers for damages, injuries, and health problems caused by taking Tasigna, the lawsuits may be combined in an effort to gather information. Legal cases that are combined to be heard in a federal court of law are called multidistrict litigations (MDLs). It is called a state court consolidated proceeding if it is done at the state level. An MDL is different from class action lawsuits because combining the cases as opposed to going forward with a class action lawsuit is a more efficient and effective manner in which to handle claims that come from medical problems and issues caused by pharmaceuticals. It is another way for a Tasigna lawyer to work to get you and your family the reimbursement you need for your medical expenses, loss of income or life, and pain and suffering. Do You Qualify to Receive Damages for Your Medical Problems Related to Tasigna? It could be possible for you to receive monetary damages for your medical issues related to taking Tasigna, but you will need to meet with a lawyer and thoroughly discuss your case in detail prior to pursuing legal action. If you or a family member has experienced any of the following common side effects: tarry, black stools, bleeding gums, blood in urine or stool, pain in your bones, dry mouth, headaches, and confusion; severe side effects like: arm or leg amputation, unexpected death, strokes, severe infections, blocked arteries, or cardiovascular issues, you should schedule a free, consultation with a Tasigna lawyer. Even if you have some of the less common side effects like: dizziness, decreased urine output, nervousness, coma, tremors, quick weight gain, or rapid heartbeat, it is a good idea to speak with a lawyer. The best way to determine if you or your family members are eligible to seek damages from the pharmaceutical company, Novartis, that produces Tasigna is to get the advice of a lawyer. You need to find an attorney that is knowledgeable about Tasigna and the product liability laws relating to pharmaceutical cases. Make sure you take all your documentation with you to the appointment and disclose all information related to the case with the lawyer so they can have all the facts related to your claim. They can also let you know if you meet the requirements to file a claim and tell you what steps you need to take to pursue your case. 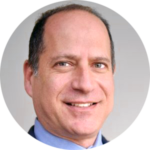 Deciding to fight a major pharmaceutical company (Novartis) is not something you should do without first discussing your options with a Tasigna lawyer and then thinking it through. You should even take the time to talk to your family about the case to make the best decision for them. Locating a product liability lawyer in your area will allow you to stop worrying as they gather the necessary information and prepare your case for litigation. The best option for you is to find a Tasigna lawyer that will have all the resources and tools needed to fight the big pharmaceutical company. A class action lawsuit lawyer will fight for your rights and the rights of your family. They will fight to make sure your rights are protected and that your case is heard by the appropriate audience. This is not a battle you want to take on by yourself. Collect and review your documents to see if they meet the standard for legal action. Prepare your case and argue it in front of the correct legal audience. Protect your rights during all litigation proceedings. Fight for the monetary damages you need to pay for your medical expenses, cover your loss of income or life, and pain and suffering. Seek punitive damages, if applicable for you. Make sure Tasigna manufacturers are held responsible for their negligence and ensure no other parties are harmed by them. When you seek the help and guidance of a Tasigna lawyer, you know that you have the help of a professional dedicated to the fight for justice of those that have been wronged. They will work non-stop to make sure you receive everything you are entitled to and that your rights are protected. If you let them, drug manufacturers will take advantage of you and your family. If you or a member of your family has suffered severe side effects or even lost their life from using Tasigna for their cancer treatment, you need to seek legal help to make sure your rights are protected. You took the medication you needed to treat your illness and it caused you even more medical problems. They failed to warn you of the possible issues related to using their treatment and it is time for them to be held accountable for their actions and negligent behavior.